This book, edited by Ecologic Institute's Brendan O’Donnell, Max Gruenig, and Arne Riedel, highlights both the diversity of perspectives and approaches to Arctic research and the inherent interdisciplinary nature of studying and understanding this incomparable region. The chapters are divided into four liberally-defined sections to provide space for dynamic interpretation and dialogue in search of sustainable solutions to the issues facing the Arctic. From governance to technology, scientific research to social systems, human health to economic development, the authors discuss fundamental questions while looking toward the Arctic’s future. Whether the reader is well-versed in the history and complexity of Arctic policy or looking for an insightful introduction to the vast world of Arctic research, everyone will find answers that lead to new questions and even more discoveries in these pages, laying the foundation for tomorrow’s discussion on the future of the Arctic. 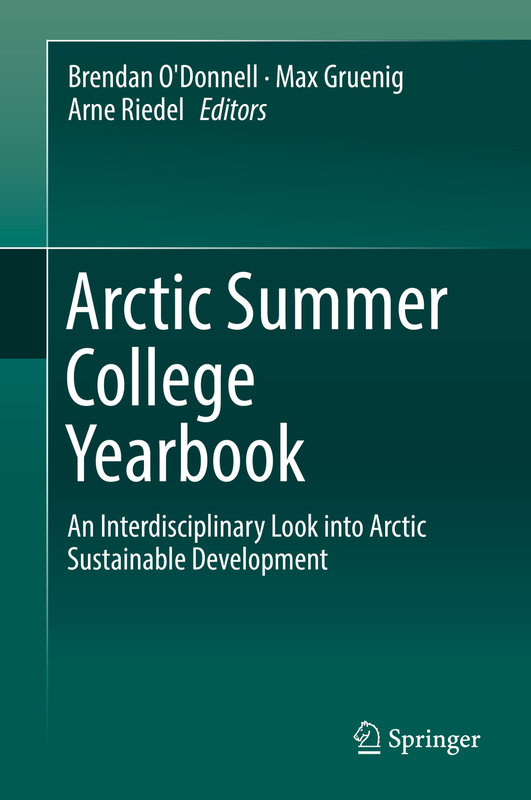 Brendan O'Donnell composed the introduction to the yearbook and Arne Riedel contributed the chapter "Arctic Council Scorecards - Monitoring Arctic Policy Transfer". It provides an overview of the aim and scope of the exerciese. It then describes challenges that were identified during the research and reflects on some of the key findings. It also points towards remaining gaps and provides ideas for future additions to the scorecards. O'Donnell, Brendan; Max Gruenig; Arne Riedel (Eds.) 2018: Arctic Summer College Yearbook. An Interdisciplinary Look into Arctic Sustainable Development. 1st ed. Springer International Publishing Switzerland.